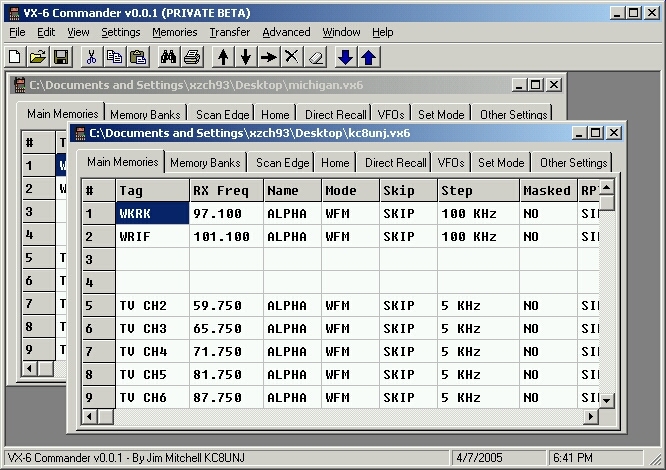 Programming software for the Yaesu VX-6 and VX-6R. I get asked frequently if I'll be adding software MARS/CAP capability to the software. 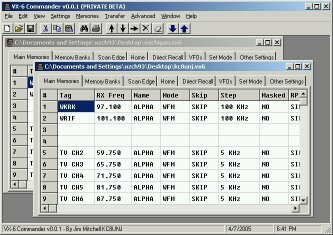 The bytes that get tweaked for this in the VX-2, VX-5, and VX-7 are not present in the VX-6, so unfortunately software mods don't appear to be possible for this radio.